The Bergans Hemsedal Lady from the Hemsedal collection is a tough, waterproof ski jacket with taped seams that is perfect for freeriding and skiing! Equipped with a three-layer Dermizax NX membrane, the hardshell jacket is not only breathable but windproof and waterproof as well. Features like the jacket's extended back and detachable snow skirt make it perfect for freeriding in powder snow! The jacket has a mesh pocket on the inside for storing your ski goggles. The underarm zips on both sides will provide optimal ventilation on those tough ascents. For a perfect fit around your waist, you can use the drawcord at the hem. The helmet-compatible hood is adjustable and fitted with a high collar in the front for optimal protection in cold, windy conditions. The articulated sleeves with hook-and-loop fasteners on the cuffs will allow for plenty of mobility. 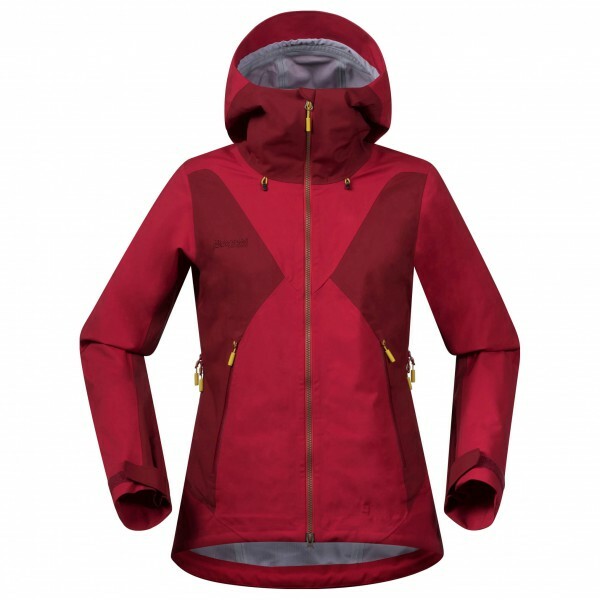 The Bergans Hemsedal Lady Jacket is a versatile alpine ski jacket that will get the job done in the backcountry!